Dentsu Aegis Network expects global ad expenditure to rise 3.9% in 2018 thanks to consumer packaged goods companies returning to higher levels of spend and an "uptick" from the FIFA World Cup. 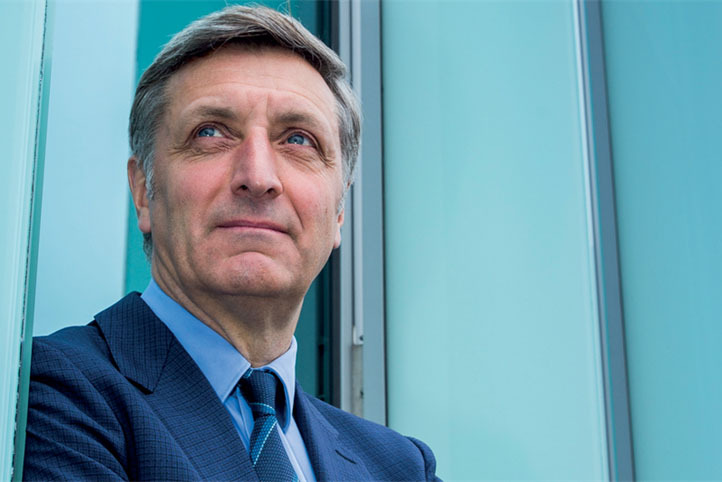 Jerry Buhlmann, the global chief executive of Dentsu Aegis Network, said the ad market was benefitting from a "gentle breeze" in its favour after a tough 2017, particularly for ad agency groups. 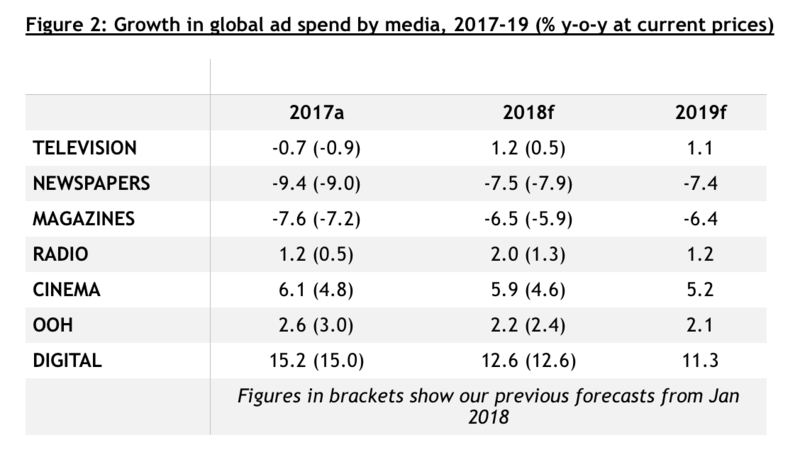 Dentsu Aegis Network, which previously forecast 3.6% growth for global ad expenditure in 2018 in January, said it was upgrading its expectations for all of the key regions, including North America, the UK, the rest of western Europe and Asia-Pacific. More than one quarter of advertising spend will be on mobile devices for the first time in 2018, driven chiefly by growth in high-quality video consumption, according to the forecast. Digital adspend is expected to rise 12.6% to $231bn, or about 38% of all media spend, and will be larger than TV for the first time globally. Although the lines between online video and TV are increasingly blurring, Buhlmann said the numbers in the forecast matter as they show how the marketplace is changing "as a consequence of the structural change we’re seeing". He has seen no sign of a "drop-off" in spending on the digital duopoly, Google and Facebook, despite some advertisers’ concerns over brand safety and privacy. In China, a trio of online platforms, Alibaba, Baidu and Tencent are sucking up 80% of the digital growth. Japanese-owned Dentsu Aegis Network is also optimistic about 2019 as it has pencilled in global growth of 3.8%. Most of the agency groups, including Dentsu Aegis Network, had weak growth in 2017 that lagged behind total ad expenditure, which grew 3.3%. Buhlmann blamed a mix of cyclical and structural factors. Big agencies have greater exposure to consumer packaged goods companies which cut spend last year as they battled to cope with low growth and the rise of ecommerce, but CPGs are "doing a bit better" and increasing spend again in 2018, according to Buhlmann. Digital disruption is driving longer-term trends and he expects "much more structural change". Buhlmann dismissed suggestions that brands taking some of their marketing services in-house or demanding greater transparency from their media-buying might explain the difference between the rate of growth in global ad expenditure and agency revenues. He added Dentsu Aegis Network's presence at next week's Cannes Lions will be "the same as last year" despite some rival ad groups reportedly reducing their presence and Publicis Groupe pulling out. "We have 16 jurors and one [jury] president," Buhlmann said, adding: "We expect to see every one of our top ten clients and many more." He described Cannes Lions as a "very useful, very valuable" way to "touch base with our clients".